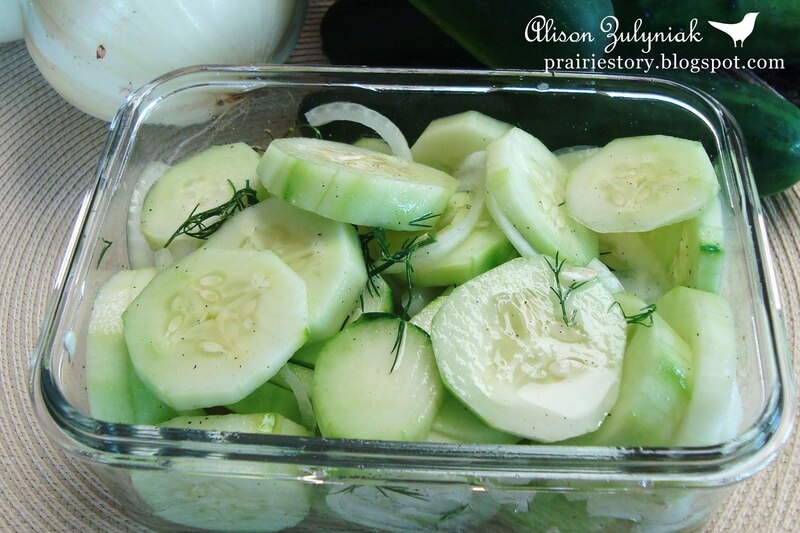 Who doesn't remember eating sliced cucumbers during harvest? I swear they were on the table at every meal. And now it warms me that my hubby and son can't get enough of these! - Combine all in dish and refrigerate. Enjoy! We make sliced cucumbers too. I never really did this growing up, but my husband did. It is quiet yummy and a nice cooling treat! Yummy! This totally reminds me of my childhood. I love cucumbers! I really like to make this with rice vinegar and coarse salt. Nummy! Great side dish. No salt added, instead I use a little sugar. If the main dish is spicy, I use red onion rather than white onion. I do not have a blog yet.